Discover everything a pastor needs to inspire end-of-year giving. Enter your information below to take advantage of this exclusive giving kit. We’re entering into the most generous time of the year. 50% of all charitable giving happens between October and December, with 10% of all giving happening the last three days of the year. 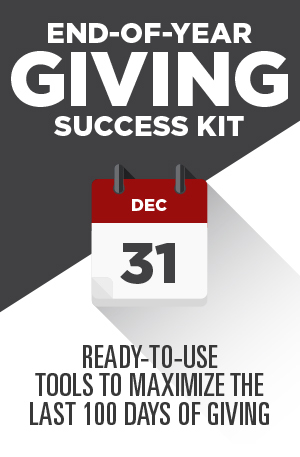 In our newest resource, The Year-End Giving Success Kit, we put together a comprehensive collection of resources to help you inspire end-of-year generosity in your church.